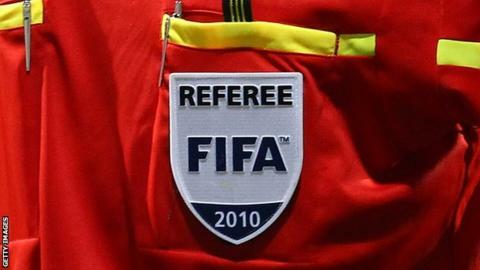 Fagla was banned for life Football's world governing body, Fifa, on Tuesday after it found him guilty of bribery. He told BBC Sport the allegations surrounded a 2010 friendly that saw South Africa and Bulgaria draw 1-1. "It's true the organisers asked us to manipulate the outcome of the game but we did not," he told BBC Sport. "I was paid only US$100 per day and l spent five days there making it US$500. "The video (of the game) is there so people can watch it to see whether the game was manipulated or not. "The only mistake we made it was not talking about it - l know that l did not agree with what they said. "I did not say anything or denounce it because l was afraid for my life. If these people are the organisers it means that they are powerful. "I did not collect any bribe. I did my work with moral conscience as a professional referee. "I'm a free man and l do not have a guilty conscience because l did my work in the right way. "I even agreed to collaborate with the (Fifa) ethics and disciplinary commission." Fagla's ban came from Fifa's investigation into various international matches that convicted match-fixer Wilson Raj Perumal tried to manipulate for betting purposes.